First Presbyterian Church of Homewood is a Christian community of faith in the Presbyterian Church (USA) denomination and we have been actively sharing the faith since 1858. First Presbyterian Church is a congregation of approximately 150 members bound together by our commitment to Jesus Christ. We value worshiping together joyfully, wrestling with scripture faithfully, and reaching out to our local and global neighbors with compassion and hope. 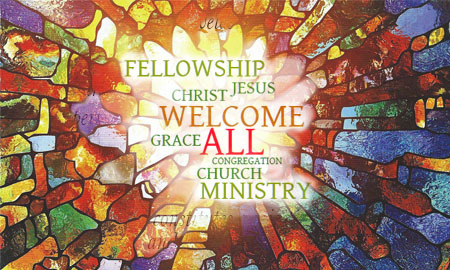 Our congregation welcomes all people who trust in God's grace in Jesus Christ and want to become a part of the fellowship and ministry of his church. The gospel leads us to extend the fellowship of Christ to all people. If we do not do so, we would be rejecting Christ himself! It is with joy that we greet you. We hope you will look over the many opportunities for mission and ministry at First Presbyterian Church of Homewood. You are welcome any time! PS---Worship with us at 10:30 a.m. Sunday mornings. Adult Bible study is from 9:30-10:20 a.m. year-round. Our building is air conditioned and there is an elevator through the garden entrance off the back parking lot. First Presbyterian Church offers a free supper every Monday from 5:30-6:30 p.m.
On Mondays we'll be cooking! All dinners are downstairs in Westminster Hall. We begin serving at 5:30 p.m. Meet old friends and make new friends as we break bread together. Volunteers are always welcome.